How many times have you been in the situation where you want to give your friend a bunch of files but your flash drive wasn’t large enough, it was reaching its storage limit or you kept confidential information on it that you didn’t want anyone else to see? You would either have to sort through the flash drive's contents deciding what to delete and what not to or you would have to use the drive back-and-forth several times to transfer all the files to some other storage device. 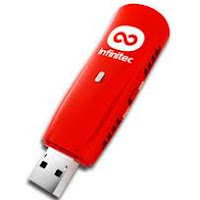 These days are gone because Infinitec has come up with a flash drive having infinite storage. The IUM does not actually store any content on the drive itself. Instead, it uses your laptop’s WiFi signal for connectivity and leverages your laptop’s storage capabilities as its own. The IUM allows you to share your entire hard drive as well as any servers, external hard drives or other storage space that your laptop can access. Ultimately, the more storage space that your laptop has access to, the larger the memory of the IUM will appear to be. The first thing you need to do is to pair it with your laptop.The IUM pairs uniquely to a single laptop and this laptop becomes the host of the IUM. The pairing process is designed to uniquely identify your IUM from others that may be around. Your IUM will only work with your laptop while other IUMs will only work with their owners’ laptops. By pairing each IUM with a unique host laptop, you and your colleagues can all use your IUMs simultaneously without having any incompatibility or interconnection issues. You can select the data that you want to share on your IUM. The data in IUM is highly secured because even if your IUM is lost or stolen, none of your files will be gone with it, as the IUM doesn’t store any content on itself. Your data will always be protected because it never actually leaves your PC. Now you can use IUM as it performs functions similar to USB flash drives. There is no need to install software or download drivers. It is truly a plug and play device that is recognized by all operating systems. The IUM is compatible with all major gaming consoles such as PlayStation3, Xbox360, etc. The IUM can be used to stream movies on DVD player, media player or latest generation TV by plugging into the USB port. If one has to use his laptop for storage,then whats the need of this IUM??? I mean you can directly share your folders through wifi(or ethernet cable).